Eugene resident Eleanor Townsend wasn’t necessarily wealthy by most standards (she was no Koch billionaire), but she was committed to leaving a legacy for social justice. When she passed away in 2010, Eleanor left behind a sizable gift to MRG, enough to fund grants to several grassroots groups organizing for justice. 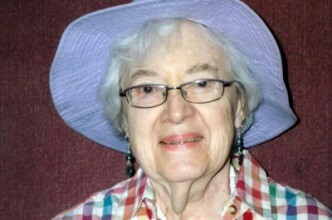 In 2001 Eleanor moved to Eugene to retire and became a quiet but committed part of its progressive community. She loved the outdoors and appreciated that there were local people working to protect the environment. “She had a high regard for people who were doing the work she believed in,” reports her nephew, Michael Welch. Born into a conservative, Catholic family in rural Illinois, Eleanor’s sister and brother-in-law—the latter was at the time a writer for socialist magazine National Guardian—convinced her to move to New York City in the 1960s. From the moment she arrived in New York as a librarian in her 30s, Eleanor immersed herself in the politics of the day—particularly the growing peace movement and burgeoning gay rights movement. Living in a city that was one of the epicenters of new political thinking and being in close proximity to her radical siblings swayed her political values to the left. MRG Foundation is grateful to Eleanor Townsend for her commitment to social justice and for remembering MRG in her will. Eleanor’s gift will support grassroots groups throughout Oregon working to carry on her vision for a more just world.